Home » Poker » What beats what in Poker? What beats what in Poker? While most of you will know the basics rules of poker, those new to the game may still be a little unsure of what hands are most valuable. In fact, even experienced players sometimes get confused when ranking a Full House and a Flush. A poker hand will always consist of five cards, and they fall into one of several rankings to determine the strength of your hand, such as a royal flush, a straight or a two pair. The player holding the highest ranked cards will be the winner. Therefore, it is crucial to learn and understand the different poker hand rankings to ensure you don’t throw away a potential win. As such, we thought it might be advantageous to put together a reminder that you can bookmark and use for future reference when playing at our recommended online Poker brands Ignition and Ladbrokes. A Royal Flush is the highest ranking hand in poker and is known as the nuts or royal routine. A royal flush is a hand that has an Ace, King, Queen, Jack, and Ten, with each being the same suit. Your goal is to see opponents sacrifice as many chips as possible as this is an unbeatable hand. The probability of receiving a royal flush is 0.0001%. 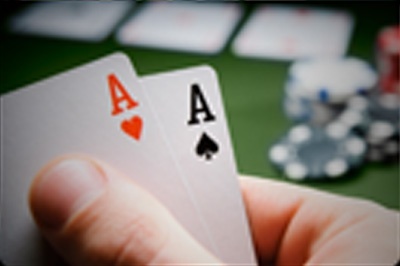 A Straight Flush is five same suit cards in sequence, and you would be unlucky if you are beaten holding a straight flush, as it’s ranked the second highest poker hand in the game. There is a total of forty possible straight flush combinations, and the probability of receiving a straight flush is 0.001%. A 4 of a kind hand, known as Quads, consists of four same value cards. If two players have quads or 4 of a kind hand, the winner will be determined by the highest kicker card. The probability of receiving 5 of a kind is 0.02%. A Full House also referred to as a Full Boat, consists of three same value cards along with two same value cards. There are 3,744 combinations of full house hands with the probability of receiving a full house being 0.14%. A Flush consists of five same suit cards that are not consecutive. The winner is determined by the highest card in their hand. There are 5,148 flush combinations, and the probability of receiving a flush is 0.19%. A Straight, also known as “Broadway” is any five consecutive cards. There are 10,240 different combinations that can result in a straight, and the probability of receiving a straight is 0.39%. 3 of a kind, also referred to as a Set or Trips, is any three cards with the same value. There are 54,912 possible three of a kind combinations, with the probability of receiving three of a kind being 2.11%. A two pair hand will consist of two same value cards along with an additional two same value cards in one hand. For example, two queens and two fives. There are 123,552 combinations that can result in a hand with two pair. The probability of receiving a two pair is 4.75%. A hand with a pair will consist of any two cards consisting of the same value. There are more than 1,000.00 combinations that can result in a pair, and the chances of receiving a pair are 42.25%. If you want a handy reference whilst playing, bookmark our Poker Hand Rankings guide. Edge sorting – strategy or cheating?